Find this 14k White Gold Princess Cut 4 Prong Mounting at Raymond Lee Jewelers in Boca Raton — Palm Beach County’s destination for engagement rings, men’s wedding bands, wedding bands for women and diamond rings. 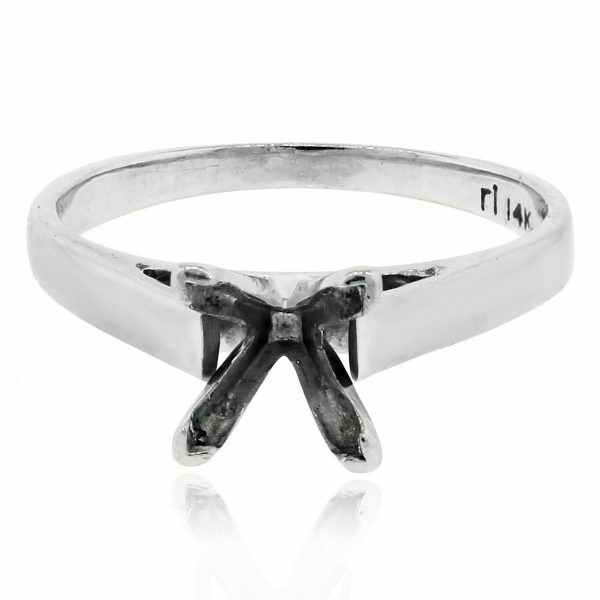 Mounting details Can fit Princess Cut stone, 4 prongs. Policy 30 day Raymond Lee Jewelers Return Policy; This Mounting does not come with a center stone. Categories: Engagement & Wedding | Raymond Lee Jewelers, Settings, Solitaire. Tags: 14k white gold mounting, 4 prong mounting, princess cut mounting, white gold 4 prong mounting.